Personnage - Leader. Points: 9/12. Santé: 9. Power Action - Play a support from your hand (paying its cost). Then roll that support's die into your pool. 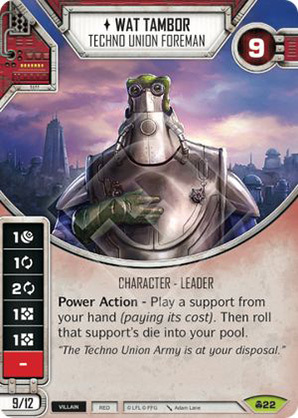 "The Techno Union Army is at your disposal."